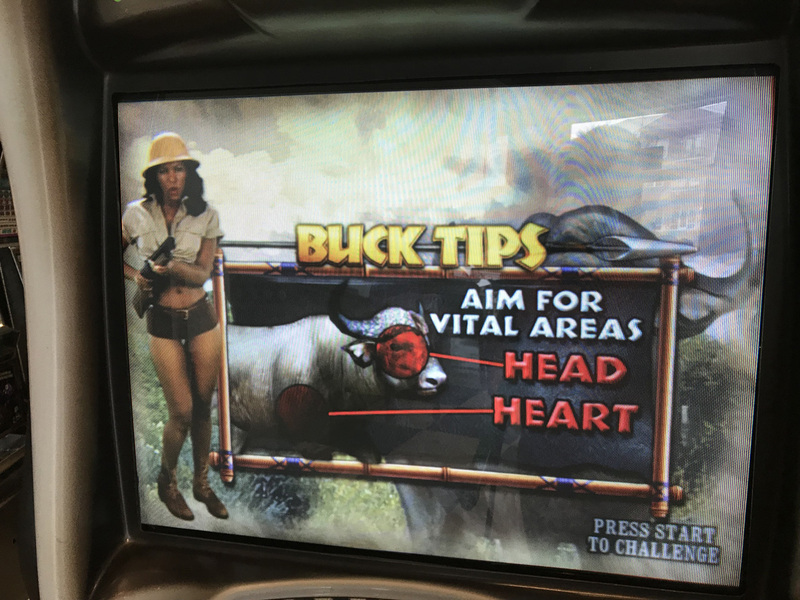 Big Buck Safari Arcade Game * | Fun! 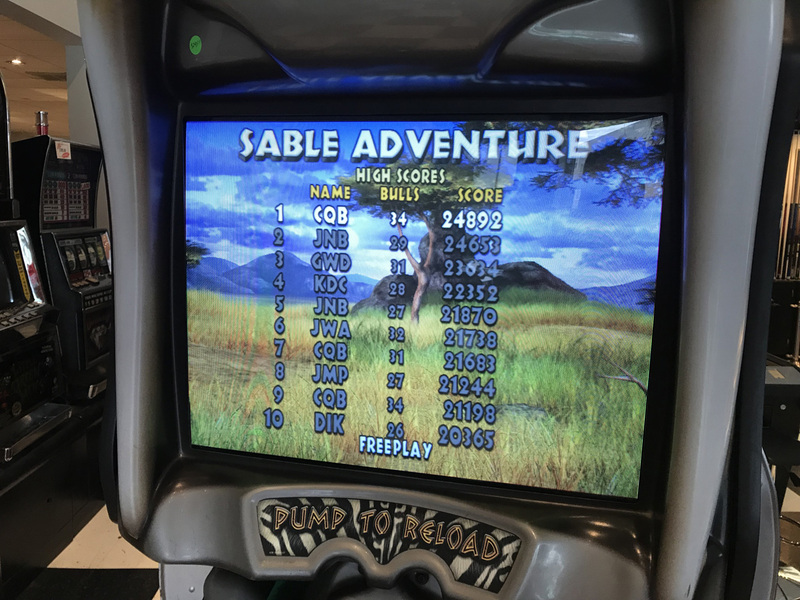 From the developers of the #1 selling video-hunting game of all time Big Buck Hunter Safari puts players on a big-game safari across the dark continent of Africa. 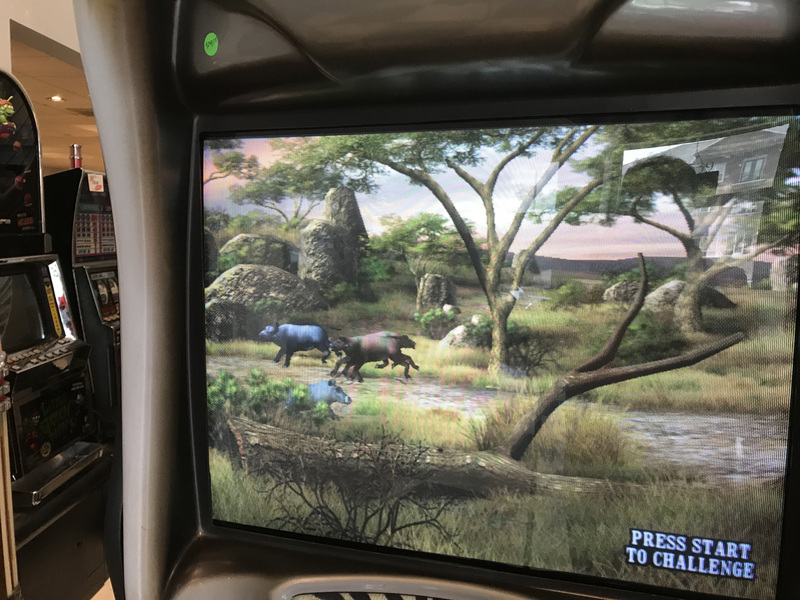 Players experience 15 unique hunting treks stretching from desert dunes through grassy savannas to the lush jungles in search of the “Big Game”. Hunt internationally-known antlered species including Gemsbok, Kudu, Sable, Cape Buffalo even Wildebeest. 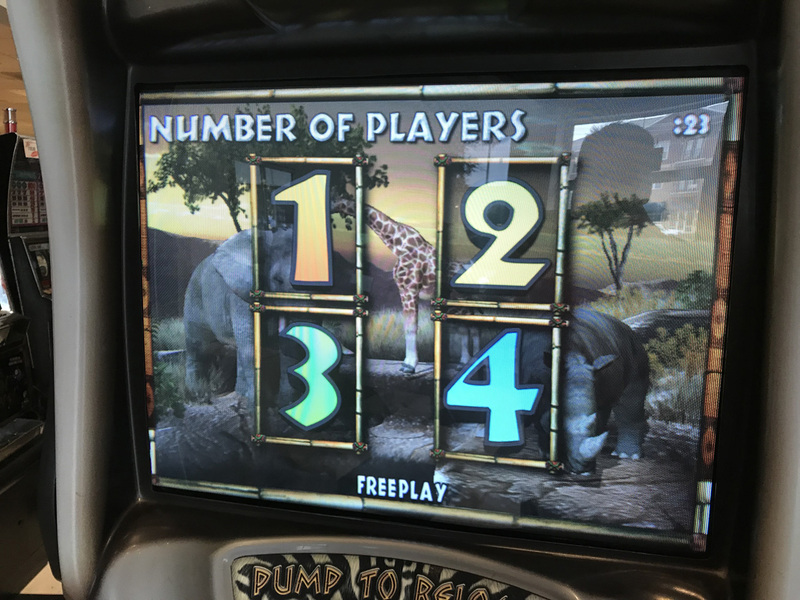 Big Buck Safari offers eight ‘Trophy Animals: Lions, Rhinos, Elephants, Panthers, Leopards, Giraffes, Zebras and Hippos to significantly raise scores. In this version, players will also find several new critters to hunt including Meekest, Chameleons, Frogs, Hyenas, Warthogs and spiders just to name a few. 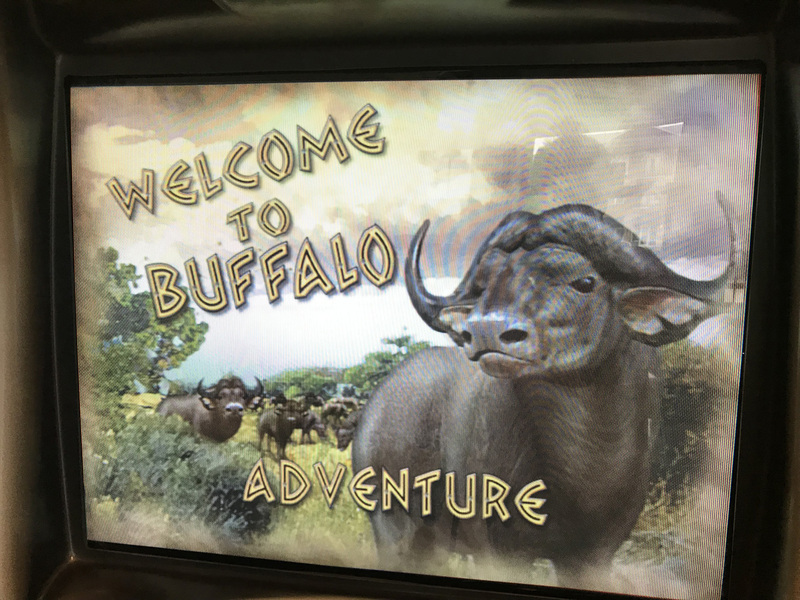 New main quarry animals to hunt include Gemsbok, Kudu, Sable, Cape Buffalo and Wildebeest and there is also 15 new bonus rounds including Shrunken Head, Market and the “Tarantula” Bonus to name a few. Height: 76″, Width: 30″, Depth: 31″, Weight 535 lbs. This is a pre-owned arcade game that is in overall great condition and has been refurbished by our in house team. This unit does show have a few surfaces scratches on the cabinet side art as seen in the photos from it’s time in commercial use. Both guns have been calibrated for proper operation and the 27″ High Resolution flat screen monitor has a beautiful, bright, crisp clear picture. 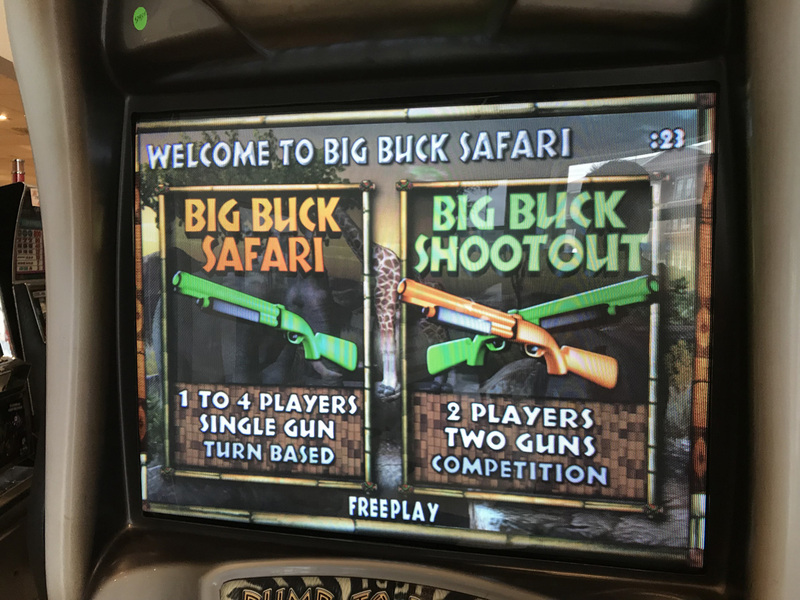 Big Buck Safari works great and would be a superb addition for a home game room or back out at a commercial location to earn revenue. 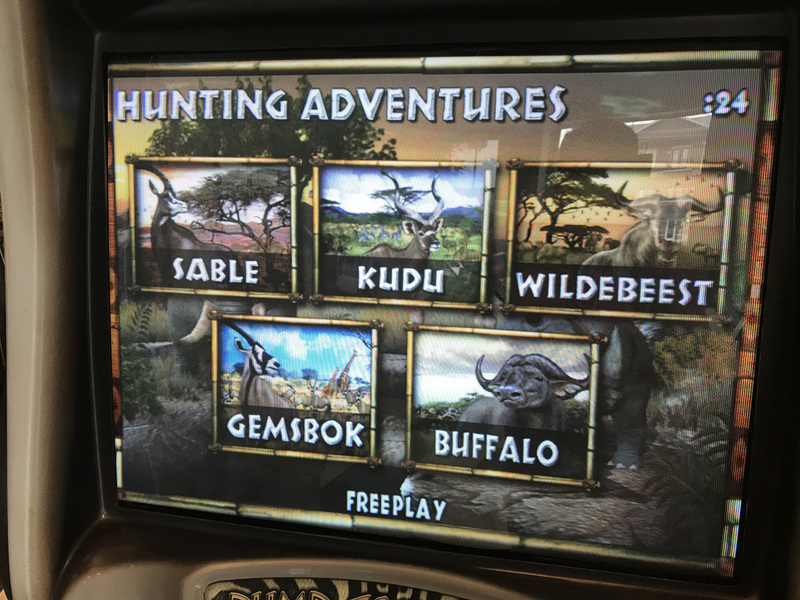 As with all of our pre-owned games, Big Buck Safari includes a 30 day warranty on the electronics.